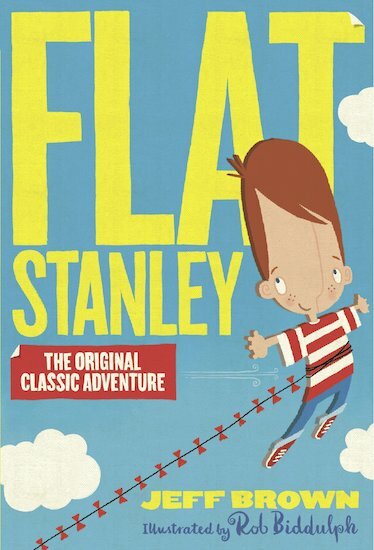 One night a giant pinboard falls on top of Stanley, leaving him as flat as a pancake. Ouch! But it’s not all bad news. In fact, being flat is kind of awesome. It’s great fun going in and out of rooms by sliding under the door. It’s a hoot being sent in the post, and flying in the air like a kite. But it’s not all fun and games. Sometimes it’s hard to be different. And how will Stanley save the day when thieves arrive in town?